Based on the fantastical illustrated magazine Heavy Metal, producer Ivan Reitman combines original artwork and stories by five of the world's most respected adult animators to create the otherworldly tale of a glowing green orb from outer space that spreads destruction throughout the galaxy. 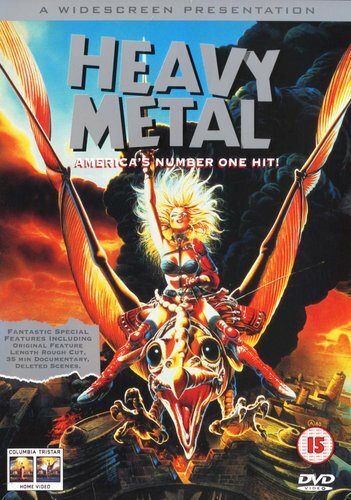 Richly and lavishly drawn, Heavy Metal includes the science fiction writing of Dan O'Bannon (Alien, Total Recall), the character voices of John Candy and Harold Ramis and a pounding soundtrack by Black Sabbath, Blue Oyster Cult, Nazareth and many more. 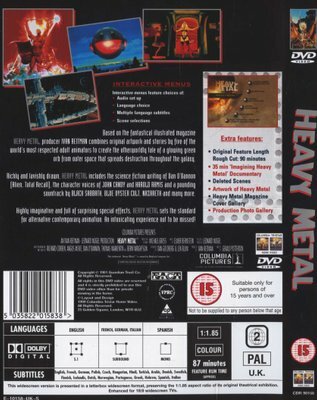 Highly imaginative and full of surprising special effects, Heavy Metal sets the standard for alternative contemporary animation. An intoxicating experience not to be missed!